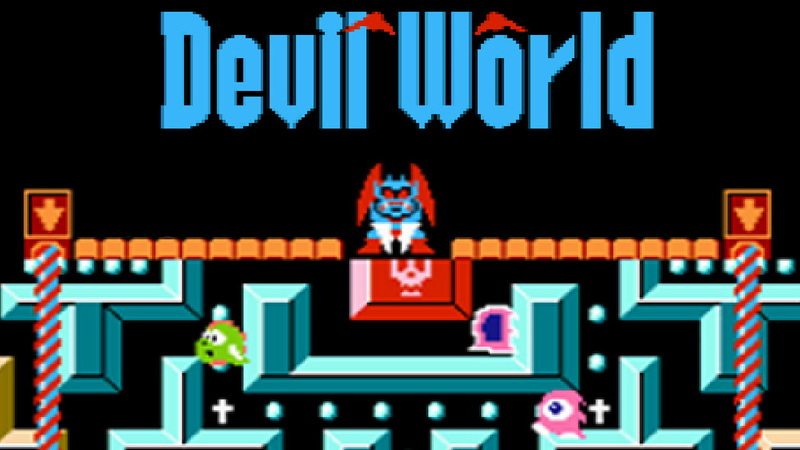 If you grew up in the 90s here in South Africa you quite possibly came across Devil World on a bootleg cartridge known as a 999-in-1 or perhaps even a 40-in-1. It was unfortunate that Nintendo classics were introduced to many of us here in South Africa through bootleg cartridges on our Golden Chinas, which hypothetically was a bootleg Famicom. It was a time of innocence as many of us were completely unaware. 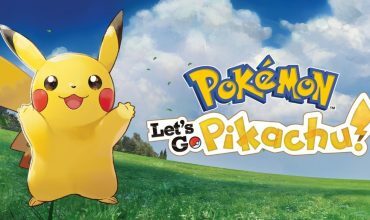 However, more than 25 years later, Nintendo has found ways to bring back these classics to us in the form of the virtual console and although many may think it a waste, I believe if you’re a retro fan, it is a must. 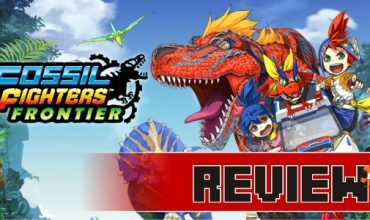 Nintendo has a knack for playing on nostalgia and Devil World did just that for me. Prepare to jump into an underworld ruled by the Devil and his minions. Players will jump into the shoes or rather paws of a little green dragon called Tamagon. With the aid of a cross and a book that resembles the bible, Tamagon acquires the ability to not only fight back against the demons by breathing fire and incinerating them (ironic isn’t it, for demons to be slain by fire), but is also able to collect the pellets (boa-boa dots) spread across the maze. Be warned though as enemies re-spawn shortly after their demise. Although it may look and sound simple the fact that there is so much happening on the screen at the same time can be overwhelming at first. Not to mention the Devil’s minions who are hard at work moving the screen in different directions by pulling on the pulleys that in turn move the entire screen and your ‘world’. 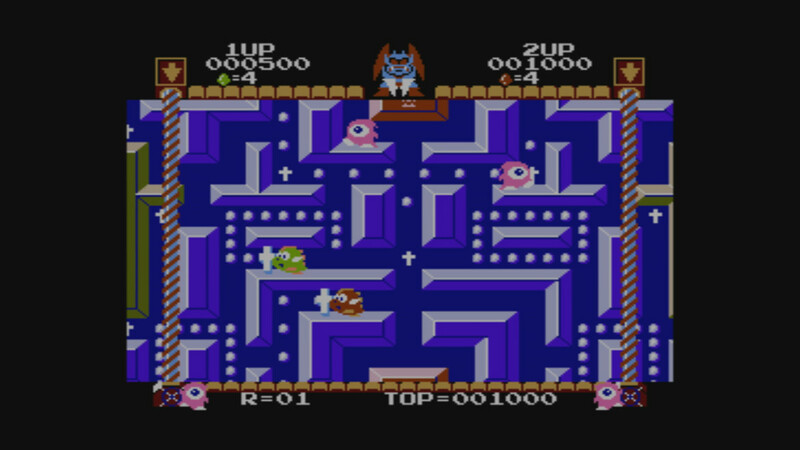 The player does have an advantage though, as the Devil himself instructs his minions before the screen begins to move, shouting out the direction the screen should be moved in. In this way the player will be able to anticipate and start preparing your movement in the opposite direction, so to avoid becoming squished by the walls of the maze. This mechanic puts the most pressure on the player as you’ll have to focus on the individual walls placed within the maze, the approaching enemies and the moving walls all at the same time. There, unfortunately, seems to be a consensus across the land that Devil World is a clone of the infamous yellow gobbler Pac-Man. And in some ways, it is. Tamagon has to collect pellets across the level and at the same time is chased by enemies. However, Tamagon is incapable of picking up the boa-boa dots without the aid of the cross, unlike the yellow gobbler who can do so at will. 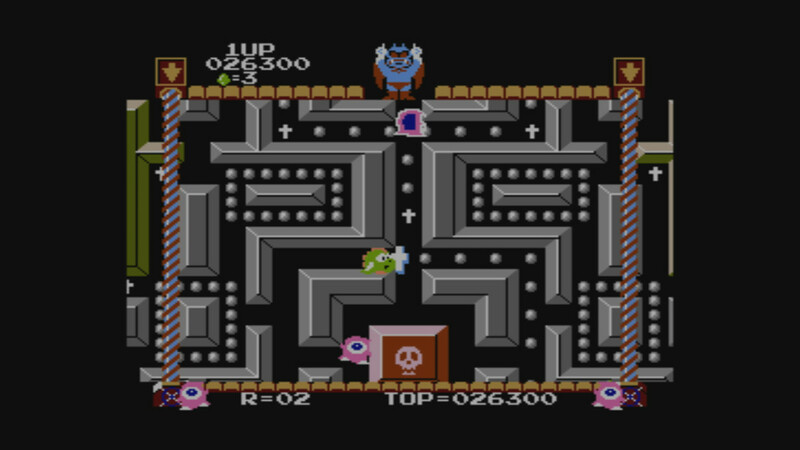 Then there’s the fact that some levels have no boa-boa dots at all and the player is tasked with collecting four books placed on each corner of the level. The player can only carry one book at a time though and unlike the crosses, the books do not disappear when held. Once a book is placed within the centre block of the level though, Tamagon is defenceless whilst making his way to the next book. All in all, Devil World is a ton of fun, some would say mindless fun. With each set of levels you complete (usually three at a time) the difficulty increases within the game. 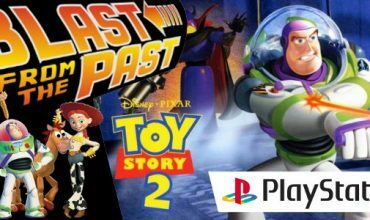 The enemies become faster, the Devil changes the direction of the screen movement a lot sooner and an additional enemy gets added which cannot be defeated. Unfortunately, just as it is with most titles of this maze genre, there is a loop. A loop that you may become bored with pretty fast. Although this can be easily fixed with a second player taking control of a red dragon, dare I say ‘Double Dragons‘ starring in the ‘Maze Runner‘. 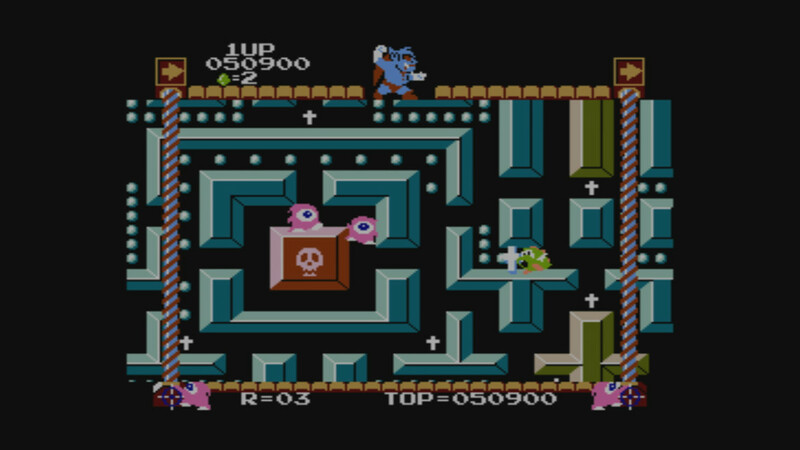 With so much going on at once on the screen you might feel overwhelmed, but if you get to grips with the mazes you will be kicking demon tail in no time.